All Tourissimo tours, river cruises, expedition cruises, and adventure trips. Find the best guided trips and expert planned vacation and holiday packages. 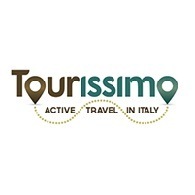 Average rating of 5.0 for all Tourissimo trips. Embrace the elements of the good life that Peter Mayle so articulately depicted in his 1989 book ‘A Year in Provence’! Savory cuisine: grilled vegetables, handmade pasta and fresh seafood!